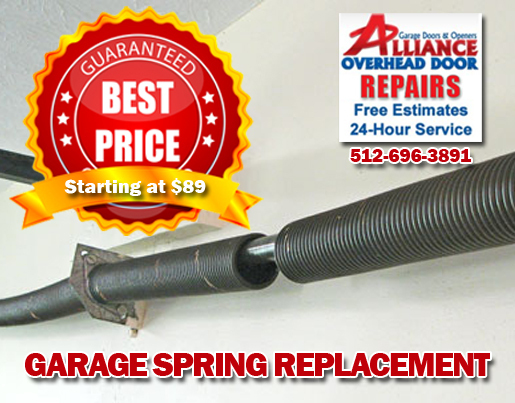 A garage door spring replacement or just a repair? How do you know if it’s a simple fix or time to install new springs? This depends on the type of spring system your garage uses. 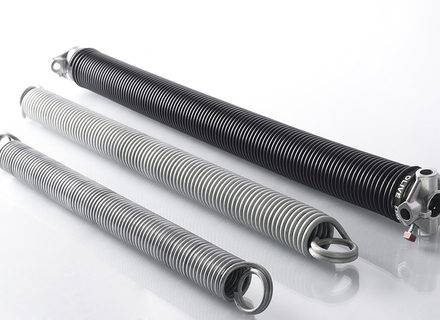 The most popular types of springs found in Austin area homes are Torsion and Extension Springs. The lifespan of a spring is 7-9 years. When using garages as a front door to go in and out of your house lifespan is 4-6 years. Also, remember during chilly weather that a cold snap could mean old springs snap! Torsion Springs are above the door and they are the springs that slide on a bar. On the other hand, Extension Springs are at the side of the door. It’s vital to make sure that the garage door company you use handles both types of springs. 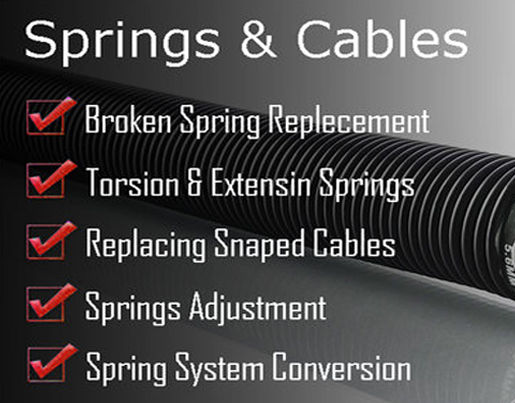 Our team of experts has decades of know-how when it comes to repairing and replacing Torsion and Extension springs. Homeowners know there’s lots of work with the upkeep of your house. One thing you don’t want to happen is your vehicle stuck in the garage because it won’t open. 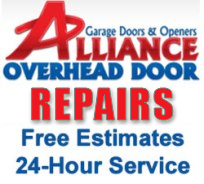 Alliance Overhead Door provides repairs plus also offers affordable garage door spring services to get your door opening and closing freely again. Because the majority of garage’s use two springs it’s best to replace both at the same time. A rule of thumb is if one spring breaks then the second one doesn’t have long before it also breaks. To prevent another service call and keep your opener working safely we highly suggest replacing both springs. 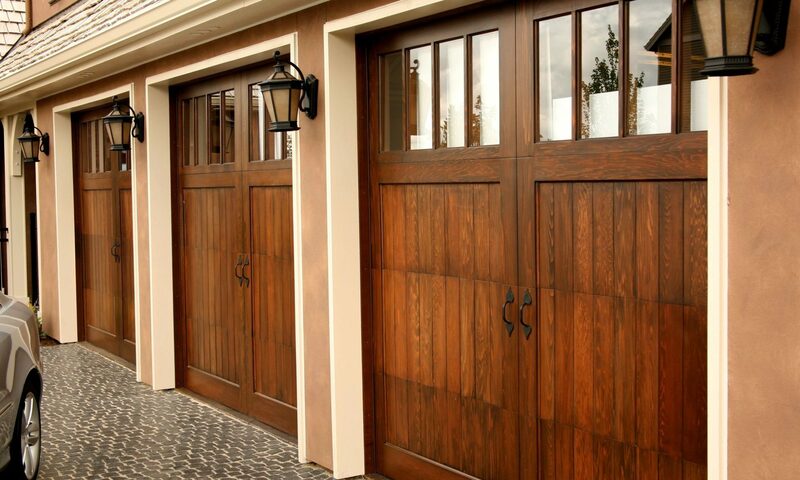 In today’s world, the types, styles, and sizes of garage doors vary and so do the springs they use. It’s important to have the right springs to work with your door. With the wrong springs installed doors get unbalanced and openers work harder shortening it’s life-span. Our company only uses the proper springs to properly balance and handle the door’s weight. With every project from repairs to replacements, our technicians will also give a free inspection of your garage and opener. We want you as a happy customer, but also we want to make sure your garage and its parts are working correctly and safely. 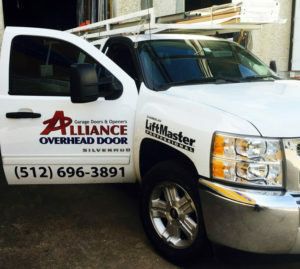 Call Alliance Overhead for repair and garage door spring replacement info for your Austin area home.